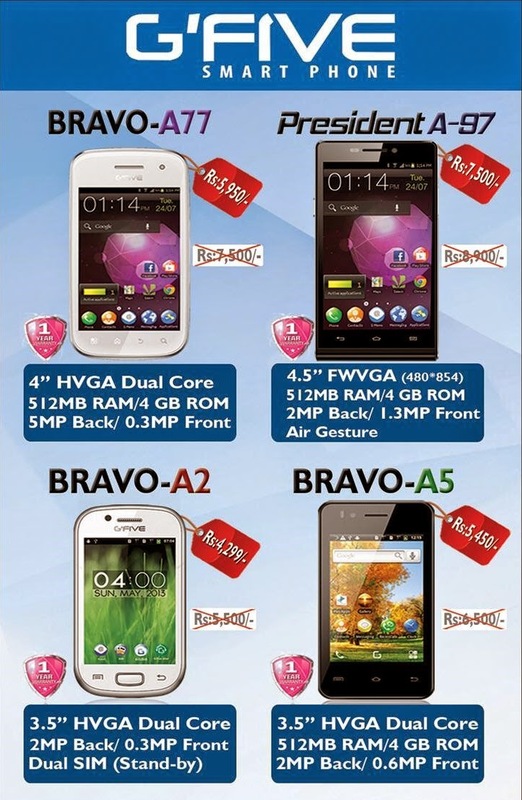 GFive decreases its Bravo and President Series smartphones prices for Pakistani customers Below you can see the comparison of GFive smartphone Prices. Current Price: Rs. 5,950/- (1 Year Warranty). Current Price: Rs. 4,299/-(1 Year Warranty). Current Price: Rs. 5,450/-(1 Year Warranty). Current Price: Rs. 7,500/-(1 Year Warranty).